My partner and I love Asian food, however, we live in Western Sydney and at least 30 minutes away from the well-known Asian foodie heaven suburbs such as Canley Vale, Cabramatta and Eastwood. So when hunger strikes and we're hankering for something Asian, yummy, affordable and decent, we head to our nearest city-suburb Blacktown. 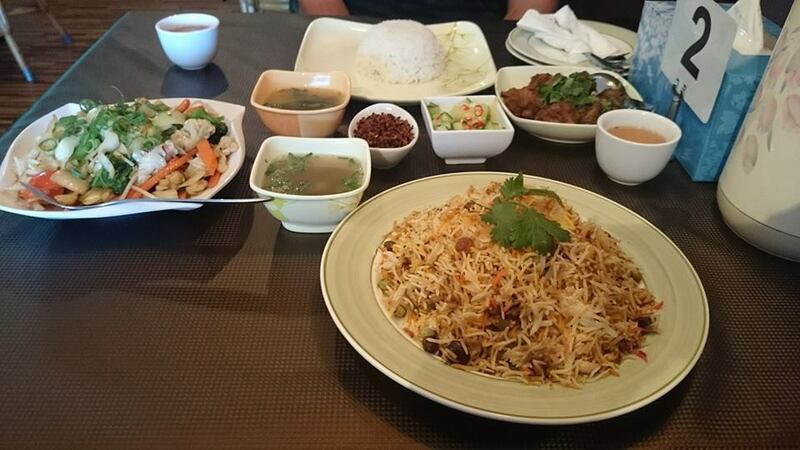 Here are our top-picks of Asian restaurants in Blacktown. Lyton Chinese Restaurant is situated on the corner of Lyton Street and Richmond Road, Blacktown. This place has been around for decades and in recent years has undergone a renovation going from having garish 1980's neon signs out the front to a more updated, classy façade. Inside, the décor is understated, homely and simple but waiters are well presented, very attentive and really look after you. They offer staple Chinese fare such as stir fries and noodles, give you the option of dining in or take-away, and can also cater for functions and parties with their banquet menu. My favourite dish is Mongolian Lamb as the meat is nice and juicy, and the food comes out quickly. My partner likes his food hot (chilli-hot) so when he orders, he asks for "Asian hot", not "Aussie hot" (he is Aussie), and staff are very obliging. There is free street parking at the premises. Flushcombe Road (and adjacent Main Street) is the "cultural hub" (if you can call it that) of Blacktown where all the multicultural eateries are situated. In this little area you will find food from many parts of the world such as Lebanese, African, Turkish, Filipino, Italian, Chinese, South American, Indian and Vietnamese. 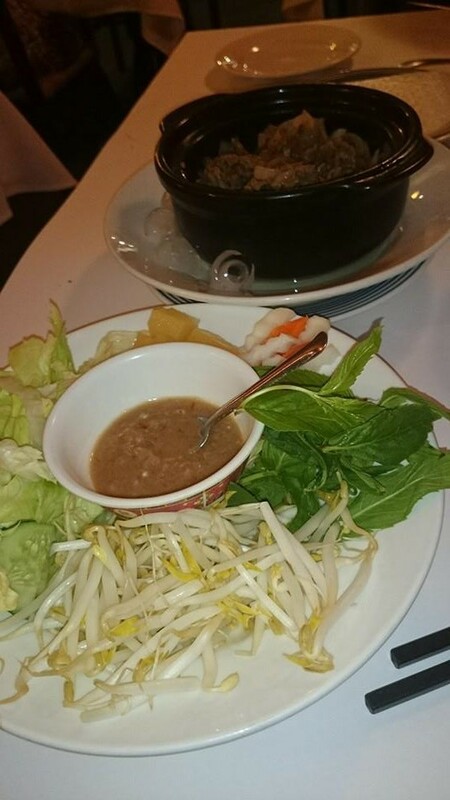 Saigon Spice is a cozy little restaurant that serves authentic Vietnamese food as good as you can get in Cabramatta. I recommend the Bonfire Beef (marinated beef cooked at the table) for novelty, if you don't mind wrapping up the rolls yourself. Serving sizes are big and filling, and perfect for sharing. Prices are reasonable starting at $5.20 for soups and you can get a decent main meal for under $20. Service is quite good too. This place is probably the most well-known place for Yum Cha in Blacktown. The restaurant is spacious and bright, quite typical of large Chinese restaurants, and it can get busy. They have a pretty extensive menu and I've been here for regular dining, functions and yum cha. Yum Cha is served daily and features the typical Yum Cha menu such as dumplings, chicken feet and mango pancakes with ice cream. No matter how many times I eat it, I can never get sick of mango pancakes – so creamy and fluffy and not overbearingly sweet. Prices are reasonable and you can get a good feed for two people for under $50. Service can be so-so, depending on how busy it is, but the food has never disappointed. They also do takeaways. This place is a little gem situated in a tiny block of shops off Richmond Road Blacktown and they offer Burmese food. I had never tried Burmese food before coming to this restaurant and I was pleasantly surprised at how tasty and "different" it is. The food has elements of Thai, Indian and Chinese, and to me, a surprising combination of flavours. For example, the side salad that came with my Biryani had amongst others, pineapple and cucumber. The combination was so refreshing and light on a warm day. Our dishes came with a variety of side dishes and each little side dish had its own different flavour combinations that packed a punch. The star dish is the Biryani – the taste is like a normal Indian Biryani but with a hint of Thai flavours. The best part about it is the big piece of perfectly cooked chicken buried underneath the rice – delicious! The prices here are so cheap you can eat to your heart's content, with the priciest dish costing just $10. It is best to ring ahead to confirm if they're opened as we have come here a couple of times thinking it was opened when it was not. Situated in the little shopping precinct on Farnham Road, this restaurant is quite big, spacious and bright, but not too bright that it's garish. We have only been here once and we liked it straight away, and will definitely come back again. The service was excellent, and although the food was very slow (they seemed to prioritise takeaway customers), our waiter apologised for the slowness and was attentive for most of our meal. I had the day's special which was Jungle Curry Beef and just from the smell, I could tell it was very spicy! My partner had Pad Pumpkin with beef and that was nice and sweet and garlicky. The average price of mains is $13 so it is excellent value for money. Welcome to the food reviewing world Mady! I love Thai Spice! Will have to check out the Burmese joint. Thanks Raf! Yes definitely check out Sun's Burmese, so yummy! Hi Maddie, Sun's Burmese Kitchen is Authentic Burmese Cuisine, it's not mixed with Lao! please correct your post! thank you!